The power inverter that is low maintenance and no special tools require. It’s easy and quick to install. 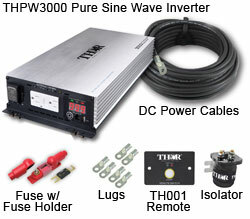 Professional Grade Pure Sine Wave Inverter Kits comes with the proper size wiring. It cost more but in the long term, they are more cost effective. It can run just about all appliances, can be used on regular basis, and produce less heat. DriverLogBooks recommends that you consider Kit 2, unless you have a 300 Amp fuse to protect wiring and Inverter from possible shorts. 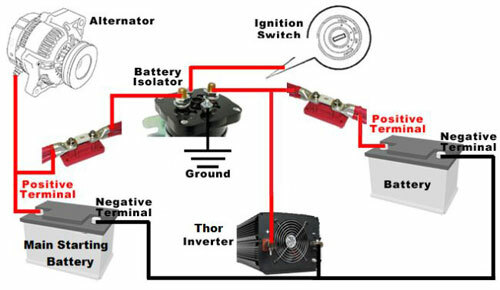 Kit 3 also includes a Thor battery isolator which will keep your main starting battery from being drained, should battery voltages drop below 12.7 volts.